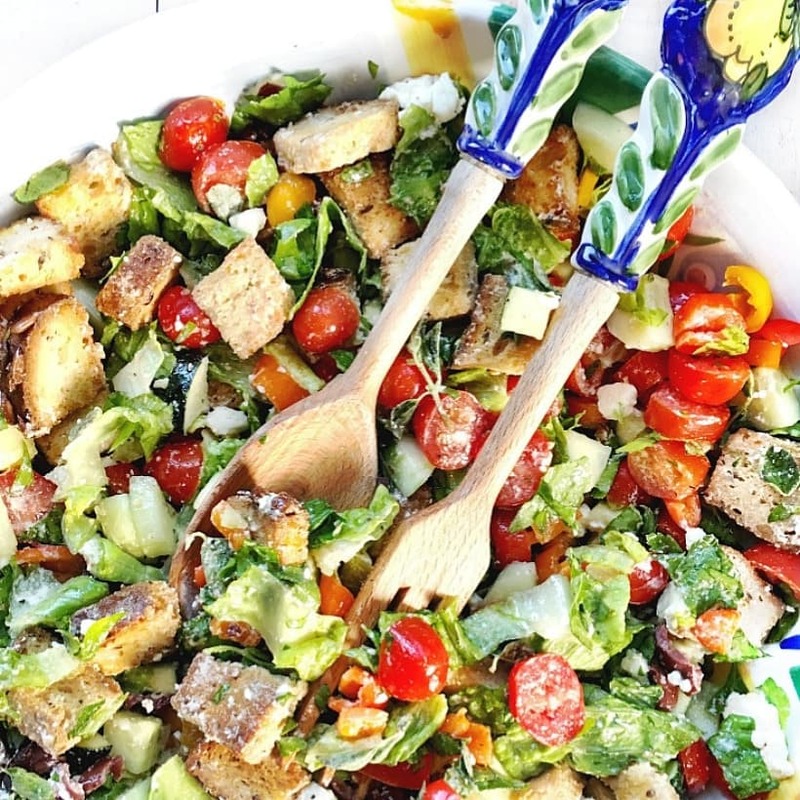 This Easy Greek Panzanella Salad is a delicious way to clean out the fridge and eat more veggies, plus it’s a personal favorite of mine. Serving Suggestions: This can be enjoyed as a main dish vegetarian entree and I like to add some fresh seasonal fruit on the side. If you have meat eaters, feel free to serve on the side with roast chicken or pan seared salmon. Or, for additional plant protein, add garbanzo beans or lentils. 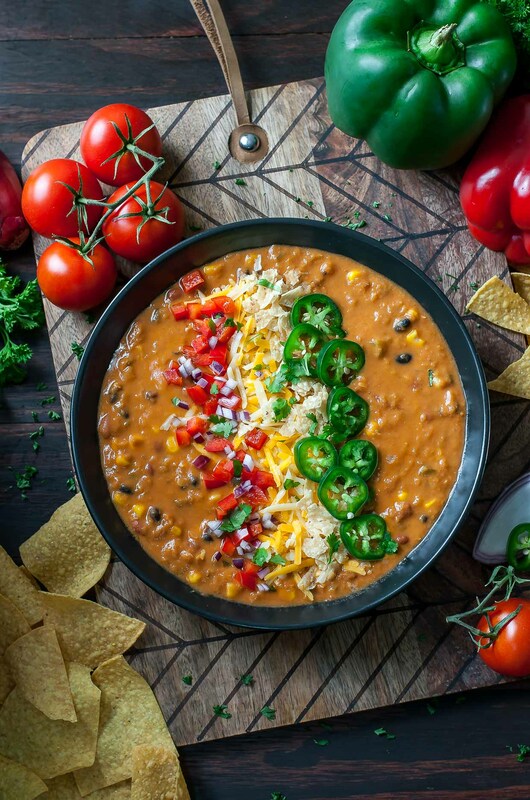 This Vegetarian Lentil Tortilla Soup from Peas & Crayons is healthy vegetarian comfort food! Make it in an Instant Pot pressure cooker, slow cooker, or on the stove-lots of options! Serving Suggestions: This is a complete meal in a bowl. Serve with seasonal fresh fruit on the side as desired. I may be getting ahead of myself, season wise, with this yummy Spring pasta & veggie recipe from Feasting at Home, but if you can find the ingredients, it’s a delicious way to freshen up your dinner menu! Tips & Serving Suggestions: I swapped the orzo for gluten free lentil or chickpea pasta. Also, I increased the amount of pasta because my family of 4 always complains I skimp on the pasta 🙂 This also makes a complete meal. Feel free to serve with fresh seasonal fruit on the side. Burger night is a favorite at our house, especially because I can easily swap in a veggie burger for my vegetarian SiSi (sometimes we all eat veggie burgers, Big Tex reluctantly). These Jalapeno Cheddar Turkey Burgers from Hungry Hobby are totally calling out my name this week! Serving Suggestions: If you make withe the bun, serve with a side salad. Or, if you skip the bum and go with a lettuce wrap, serve with sweet potato fries on the side. !I’ve been drooling over this Raspberry Chocolate Chip Edible Cookie Dough (Slice & Eat) from Cotter Crunch, ever since I pinned it last week. 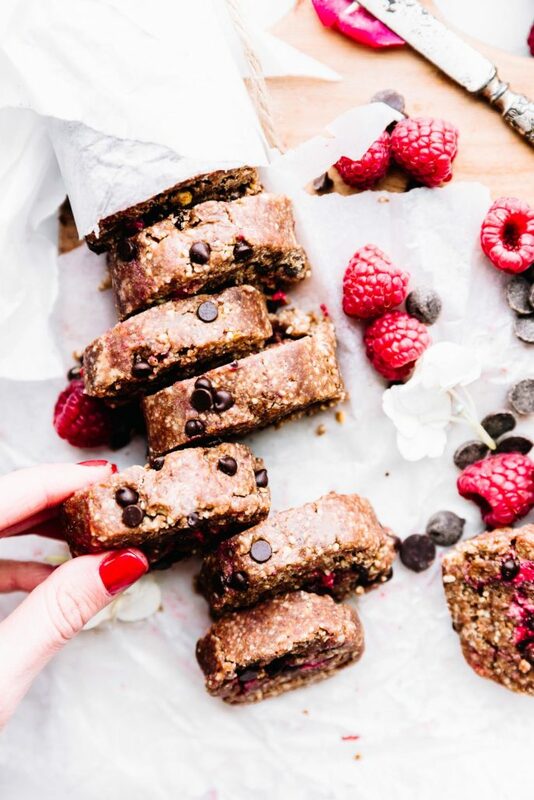 It’s a perfect healthy sweet treat for Valentine’s Day! 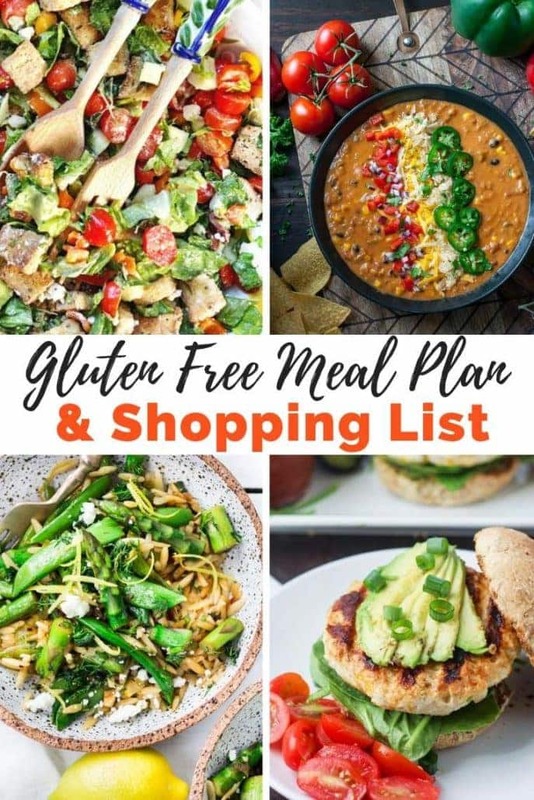 Click on the link below to download your free printable grocery list for this week’s gluten free meal plan! This Podcast/You Tube Video with Dr. Mark Hyman & Dr. Alessio Fasano, on Celiac Disease & Non Celiac Gluten Sensitivity at The Doctor’s Farmacy. This easy, yummy Vegan Strawberry Sundae with Chocolate Sauce I made the other day (click link for recipe). Binge watching Narcos with my hubby while we’ve both been sick in bed. Yes, it’s intense, but super interesting to learn more about the story of Pablo Escobar and the late ’80s cocaine trade in Colombia. This weekend was my 3rd time volunteering with the My First Home Program at Just in Time for Foster Youth. 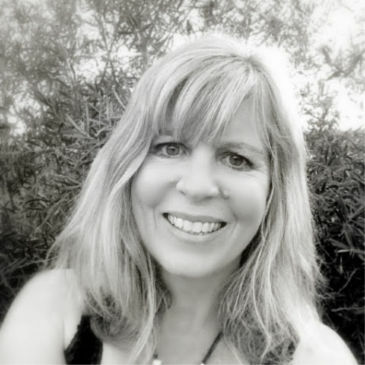 If you’re in San Diego and want to learn more, or make a donation, click here~it’s a wonderful organization!